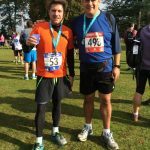 Andy’s Marathon Blog, 22 weeks to go. 22 weeks to go and everything is on target. 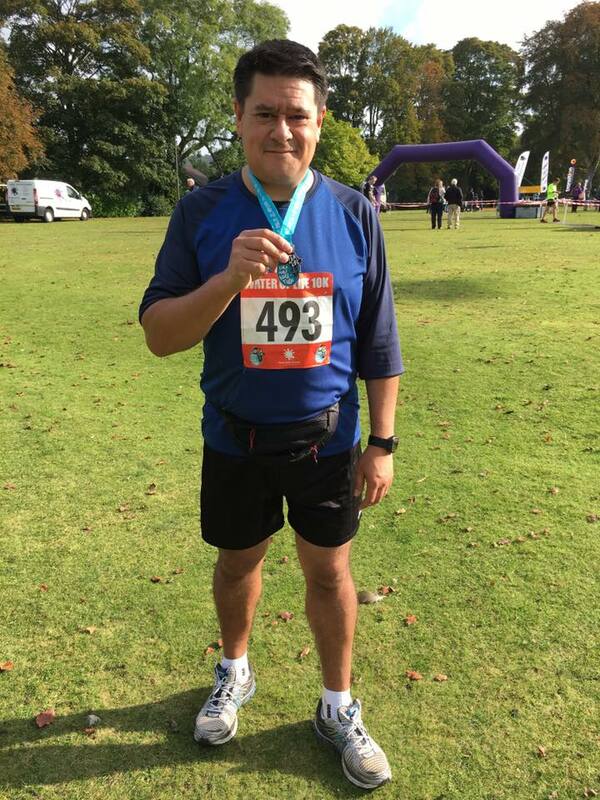 I’m covering over 20Ks every week – and I’ve now got a few good 10K runs under my belt. I’m also improving my 5K times with a good PB this weekend. So all good there. It’s okay to have a cheeky walk now and then. But as long as no one sees me (if I’m having a walk break and I see another runner, I soon get back to a jog…). It’s quite a sociable pastime – I’m always seeing fellow runners out plodding the same streets and tracks as I do and we’ll always offer a smile and a nod or a wave of the hand. Everyone looks pretty good when they’re out running. Except me, probably. I’m doing this for the achievement, not the time. But I’ll still religiously check my times, strive for PBs and will most definitely compare myself to others on Strava. 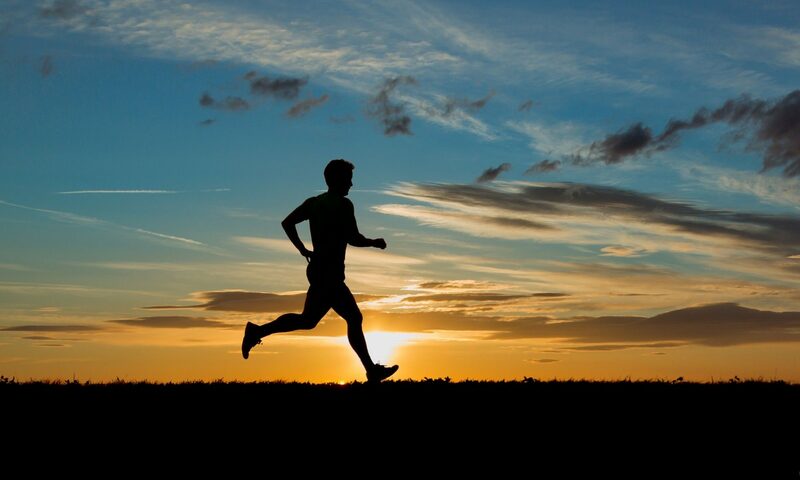 Whenever I’m out on my car now and I see a runner, I have a good look at what they’re doing, what they’re wearing and I secretly want to be out running. 3/4 times a week just doesn’t seem to be enough now. By the way, a reminder why I’m doing this and also why I’m boring you all with this blog: I’m running the 2017 London Marathon for the charity Ambitious About Autism. Lots more info in this post here but suffice to say it’s an amazing cause and I really really really hope you, dear reader, can sponsor me. Links are somewhere on this page. 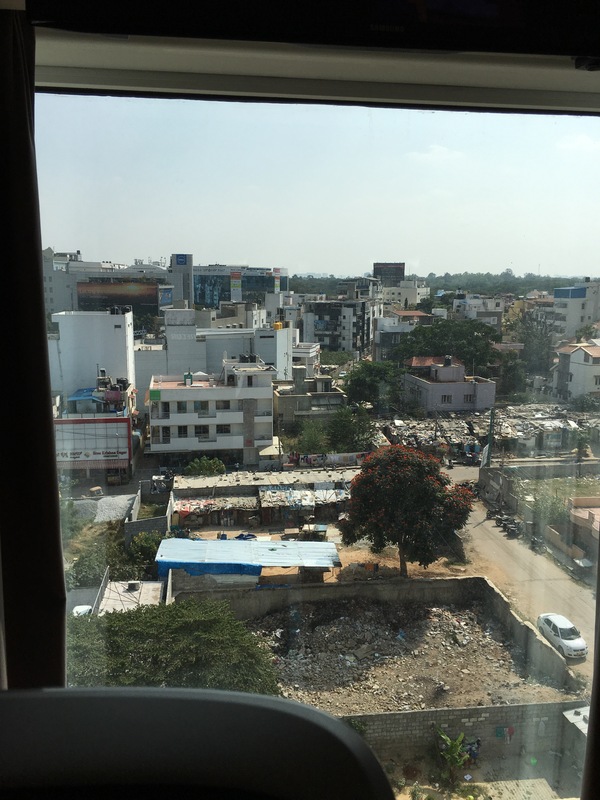 I travel to Bangalore pretty regularly but have never really considered it a great place for running due to the road congestion and conditions of pavements – and on double checking during this trip I was right. This visit I had training very much in my sights and had visions of coming across a nice park or a straight stretch of road to run on; no such luck. So it was good that I chose a hotel with a reasonable gym and two Precor running machines as these were a great fallback. The only issue is I forgot how boring treadmill running is so whilst this week was not the disaster it could have been, it was not as good as other weeks. I also blame slightly rubbish a/c in the gym and a severely rubbish body clock – in 10 years of visiting India something I’ve never quite gotten the hang of. 1) I’ve managed just over 10Ks this week (all treadmill). 2) And nearly 80Ks in the past 30 days. 3) I ate petty well – small meals are the order of the day in India, always. 4) And a great week of business and hiring new team members. Back to the full training schedule with some nice outdoor runs in the blisteringly cold UK this weekend onwards. After last Sunday’s Water of Life achievement, this week was either a case of resting on my laurels and letting things go to pot or keeping on keeping on and achieving some good runs. I decided to do a bit of both. A 3K and 5K recovery run to keep my hand in – both pretty good and made me realise I should be doing more. Then today (Sunday) another 10K from Naphill to Lacey Green and back again. Very slow – partly due to the foggy weather conditions but mainly due to being sluggish from eating too much junk in the week / not enough sleep / a short but stressful work week (things are pretty tough for a small international business in pre-Brexit Britain folks, I am SO glad I’m running to de-stress nowadays). But a 10K is a 10K and it felt like a good achievement. 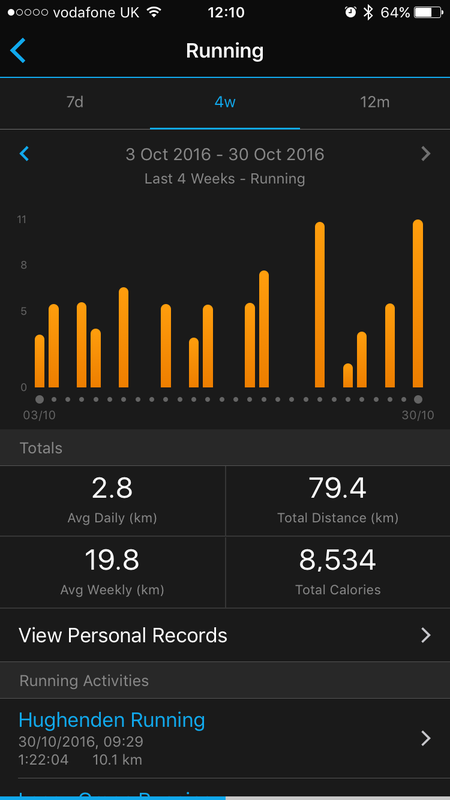 And generally on the achievements front, Garmin Connect tells me I’m now averaging over 19Ks a week which is good – but I’ll need to step it up in the coming weeks. 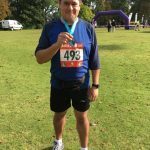 Don’t forget guys, the point of this blog is to keep you all aware of my training for the London Marathon 2017 – less than 6 months to go. 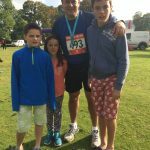 I’m running for the amazing education charity “Ambitious About Autism” and I’m posting in the hope that you might be inspired to sponsor me at some point – sponsor links somewhere on this page. Check out my archive and comment if you want to ask me any questions. Peace and love for now – keep running! Pretty good week – not in terms of run quantity but a lot of quality. Sunday: Water of Life 10K. Total: 22Ks this week (13 miles total). Possibly a bit too much of a ramp up in the course of one week – but pleased with the achievements nonetheless. Wednesday was an interesting one – I had one of those epiphany moments after setting off at 0630 and running with a headtorch for the first 30 mins or so then realising at about 5Ks that I was REALLY in the zone, that all was working well and that I could well go on for a good while longer. Time was my enemy here as I had to get off to work but I hope to have many more of those. Then, today, the Water Of Life 10K. Really awesome location at the England Football training ground, Bisham Abbey, hugging the really nice part of the Thames that I used to canoe in as a kid, between Hurley, Bisham and close to Marlow. Excellent organisation by Purple Patch Running (also a client of ours) with well appointed, well organised facilities such as bag drops, toilets and refreshments. And we could not have wished for better weather, being cold and reasonably clear but oh-so-sunny. 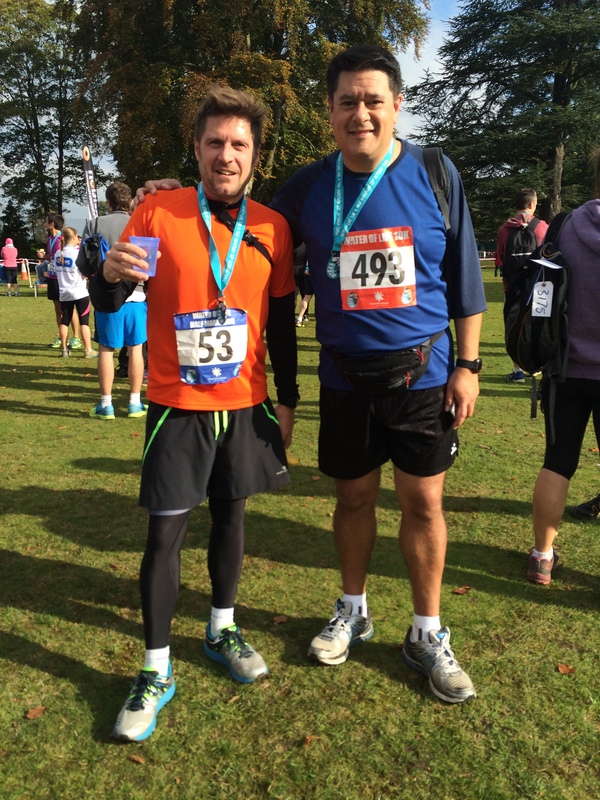 I also bumped into an old pal/client Nick Peperell who was doing the half marathon and was very inspirational how in the zone / prepared he was. I have a long way to go but it was good to chew the fat (he’s also pictured above and had an amazing half…well done Nick). I had a reasonable run – this was the first 10K I had ever done, I mean ever, so to do it in race conditions was probably not the best idea. And to do it after spending a Saturday evening cooking and eating homemade pizza with the kids was probably not the most sensible thing either. Another reminder of the holistic nature of sport – if one thing is out of synch then the whole engine doesn’t run quite right. In any case, I finished – there were about 13 people behind me, about 250 in front of me. However my goal wasn’t for time or glory; this was all for practice. 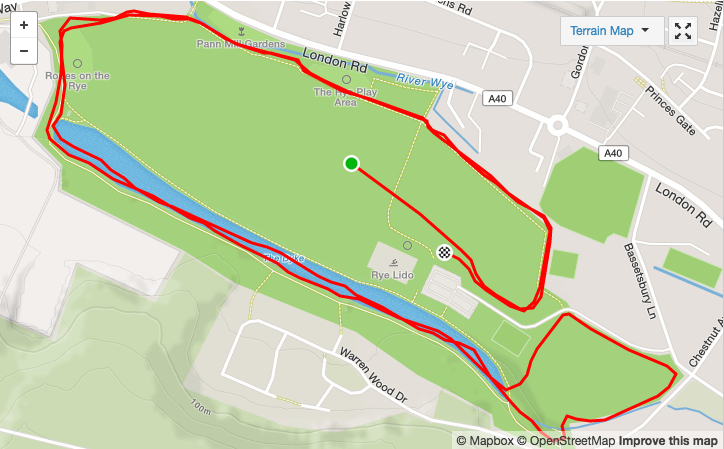 The course was also new to me of course – a few gradients, a few over-river bridges to climb. Also slightly difficult mentally as the 10K course is shared with the half marathon and at various points it’s obvious that some of the best 13 mile guys are taking over me on my 6 mile course and will end up with a better time for 13 miles than I did for 6 miles. Hmm. But all good and the kids and Angela were there waiting for me which was a massive boost. Plus Chris of Purple patch was calling in the finishers on the PA and I got a special announcement as ‘on of the guys who has been with us for the past 9 years’ along with a special high 5. Nice moment which I really appreciated. Now for a rest of a day or so then back to the marathon training. More races to come between now and Christmas, watch this space. Another week of training over; not a great one to be fair. 19Ks completed but a little too much travelling, a little too much nice food, all of this making for a few too many rest days and some sluggish runs so this week falls under the category of ‘could do better’. 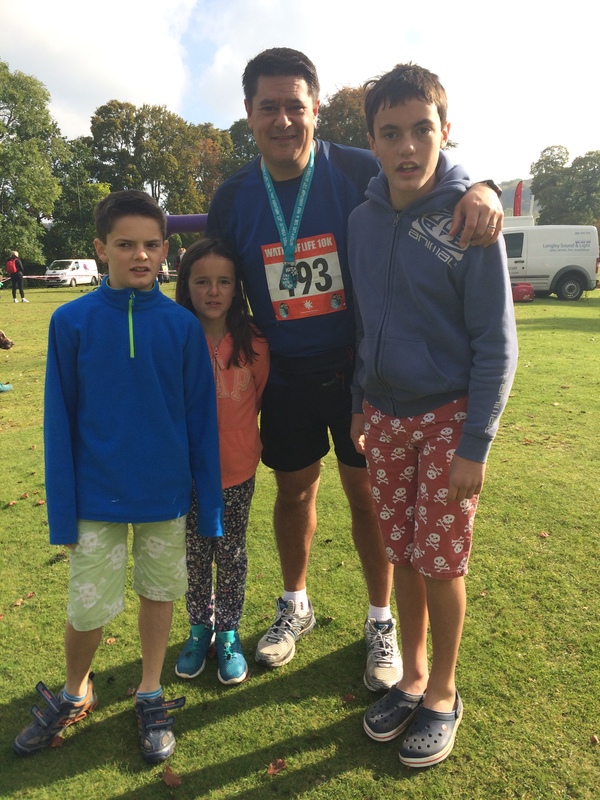 However, I completed my first competitive run today – the Wycombe Rye Parkrun 5K. An altogether different experience from anything I’ve done before – a real mix of people from very leisurely plodders to wide-eyed serious runners who look to complete the run in less than 20 mins. I was very much at the tail end as I was busy finding my feet, learning the course and learning how to pace myself in a crowd. However I completed the run in a pretty respectable time – a 5K PB for me – and so pretty pleased. It can only get better from here! A MASSIVE THANKS to all those who have sponsored me so far. So grateful as are Ambitious About Autism. News in the post that I didn’t get a ballot place for London 2017 but this is fine as I have a charity place with Ambitious About Autism which is great. Kudos to those of you that did get a ballot place – seems like it’s a very competitive route to take! One upside is the nice magazine and rather awesome free training top received – great touch. Anyway that’s over 22Ks covered in the past 7 days according to Garmin Connect plus I’m closer to that 8K run needed for my 10K race at the end of the month so alles güt! Good training week this week, 12 miles (20K) completed in the past 7 days. Quite chuffed with that seeing as a couple of months ago this would have been zero 🙂 I even managed a short river 3.5K run in Heilbronn (Frankfurt area) this morning pre a business meeting that I was attending, proud of that. I feel happy enough now to post a link to my Strava page – don’t laugh, I am getting there. Looking forward to getting some more training in this weekend. Some decent near-5K runs around the hills of Speen – VERY hard running for those of you that know; unless one wants a really boring run it’s near-impossible to not hit some rather harsh terrain. I even got out for a pretty good 3K last weekend with a colleague whilst on a work jolly in Belfast – what a great hangover cure / kick start to the day. And finally, I achieved a pretty good time / pacing on my first 5K road run this morning. Very happy with that. Generally I am out running now around 5 times a week and enjoying it. So all going well, training is going to plan, diet and general wellbeing is good – including more sleep which works really well.